Through Roane State's emegency medical services programs and healthcare workforce courses, the college has trained, and continues to train, hundreds of emergency responders who work in our region. 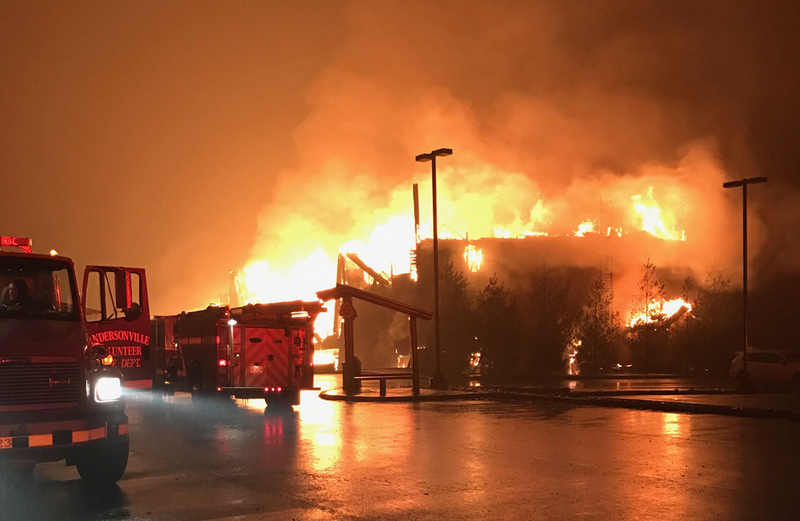 When a raging wildfire swept into Sevier County in November, many Roane State alumni were called into action. They shared their experiences with us. We are proud to call them part of the Roane State family, and greatly appreciate their skill and courage. Here are their stories. On the night of Monday November 28th, various Anderson County Fire departments were requested to respond mutual aid to the City of Gatlinburg. Of those departments Andersonville responded with a crew of 3 and 1 pumper. Once we arrived at the meeting point, we were sent to Pitman Center for staging. On our way to our assigned location there were many thoughts of the unknown. We were bouncing several scenarios off of each other from “what are we going to do to pass time if all we do is sit in the parking lot” to how crazy it could possibly be, and what we might encounter. When we first responded, I had made contact with the GFD Chief and the intensity in his voice told me that it was bad but once we hit the spur we realized just how bad it was. We made our way through what looked like the gates of hell and then entered the city. There was a constant orange glow everywhere you looked. We were amazed at the devastation and at how many buildings were on fire. …. Command was sending a Taskforce to Westgate resort building 4000 with 2 occupants reported trapped in the elevator with the building on fire. ... As we were responding we caught up with other responding units and all arrived on the scene at the same time. We pulled up to a building on fire and a tower of condos behind us. … A GFD member at the elevator was calling for forcible entry tools. FF Lonnie Poore (completed AEMT course at Roane State) and Captain James May with Andersonville were advised of the occupants being found and were at the truck ready to go. Lonnie was equipped with an Air pack and tools in hand. He and FF Austin Vick from GFD were sent to the third floor where they were able to force open the elevator shaft door and found the car stuck between the third and 4th floor. They were able to assist a male out of the car and assist him to other firefighters in the stairwell to get him out. They returned to the elevator car where they retrieved the female occupant. Lonnie had to actually hop up in the car to assist her out to the landing. She was exhausted and had to be carried down and out of the stairwell from the third floor by Lonnie, Captain May and GFD personnel. Once all occupants and fire personnel were out of the building, we resumed our defensive plan and protected both of the unburned buildings until it was time to go home. I couldn’t be more honored to know such selfless people. The amazing part is actions like these weren’t just at Westgate but all over Gatlinburg during this tragic event. At the end of the day whether we’re fire, EMS, or law enforcement we’re all here to serve the people of our communities and in this case it was the people of Gatlinburg and all the citizens involved. Going up to assist with the relief efforts in Gatlinburg was an honor to me. I manned an ambulance for 2 days. Day 1 was spent at LeConte Medical Center. We were the primary ventilator transport unit. We were utilized for this for 1 transport. The rest of this day we spent time assisting in the ER as needed and with the shuffle outside with command. The second day we started at LeConte waiting our turn to report to the Mountain Command. Once we did this my world changed. One gentleman I spoke with on the way up to the shelter from LeConte said his main concern was knowing if his fiancé was still OK. He said, "You never know how much something so simple means until you can't reach out and touch it for a day." Hearing this and seeing the togetherness and love surrounding this entire event, both inside and outside the event, has been very humbling and eye opening for me all around. Note: Puckett is a Roane State EMT-paramedic graduate, and Bowers is a current student. Puckett was the captain on duty the night the fires began. He worked straight through almost the entire week with little break. Bowers worked 36 straight hours. My reflection was not as gritty as some of those that were there. What I saw when I arrived was a fire department that was tired and a department that was nowhere near ready to give up fighting for their city. After the national park informed us that the encroaching fire was close to two miles out on Twin Creek Ridge, we sent two wildland crews in preparation for the fight they were about to engage in. The ashes were like the first flurry of the year. I deployed the wildland task force early knowing that we were in for a long night. Driving through the spur was unsettling for those that had not yet seen a fire of this severity. Most of us hadn't. You could see where fires were fought and where some had rekindled and burned up the side of the hill. You could see cabins in the distance on fire fully involved with no way of getting to them. You could see cars burned to a crisp without recognition of make or model, just burned rubble laying on the ground. My colleague, Dustin Mount (Roane State paramedic class of 2014), stated, "I saw Armageddon, and I felt like we needed to get these fires out!" Yes some of Gatlinburg burned down. But our will to rebuild and restore Gatlibnburg will burn even hotter. Note: Katie Knutnsen is a graduate from Roane State's Critical Care Class offered through Workforce Development. 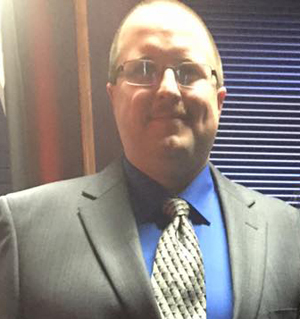 The second FF/EMTP mentioned in the story, Ian Wedlock, is also a Roane State alumni. Department Station 1. That day I was assigned to the ambulance along with my partner Ian Wedlock. Earlier that morning while I was on my way to work I could have sworn that I was seeing snow but the temperature was not cold enough. When I made it to my assigned station I talked with the other guys about the "snow" and they stated that they had also witnessed what we all thought was snow. As daylight made its way through we quickly found out that it was ash falling from the Chimney Fire. You could see the smoke plume and as the day went on the sky became more ominous as the smoke became thicker and visibility was greatly diminished all throughout Gatlinburg. Early on in the afternoon station 2 and 3 were sent to assist with the Park Service in the Chimney Fire. Myself and the other people at station 1 were sent to the first wildfire inside the city limits. When we arrived we were met with extreme and fast moving fire conditions driven by winds that I witnessed pick up and throw garbage dumpsters like they were nothing. One structure was already on fire as well as several acres. Power lines were down which kept us from accessing the structures. We used deck guns, hand lines and hand tools to defined and make a stand as best we could with the resources we had. When the wind would kick up it looked like it was raining fire. At one point a home owner and his wife came driving through trying to get to their home and they were extremely upset stating that their dog was still in their house and they had to get him. I turned them around because it was not safe and got the address for their house. Myself and my partner Ian Wedlock went on foot with hand tools to the address given by the homeowner. Power lines were down across the drive way and the porch was partially on fire. We gained access to the home and found the dog in one of the lower bedrooms. 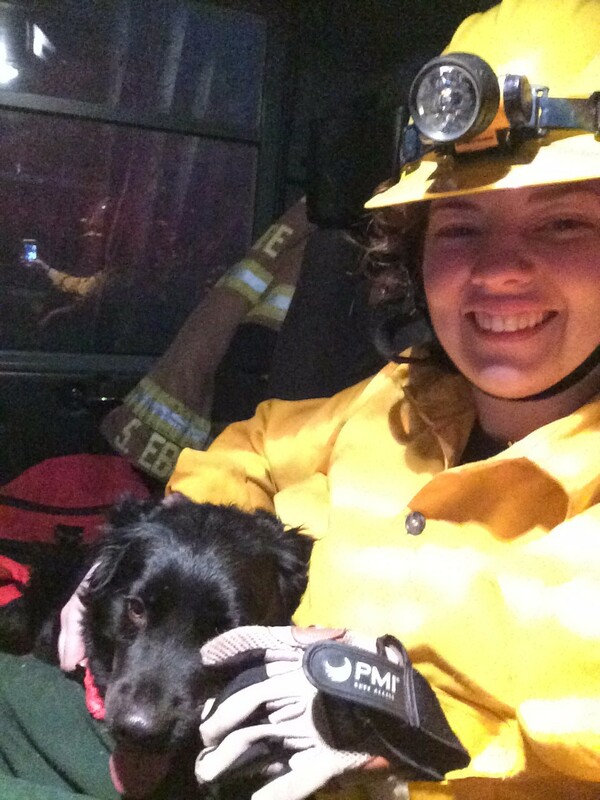 My partner carried the dog back to the engine which is where he stayed until we were able to take him back to station 1. My partner called the home owners and they were extremely grateful. Ian and I took the dog back to station 1 and left the dog with our Chief's wife who took care of him till the homeowners came and got him. After that Ian and I set out and moved from one assignment to the next until we were released that next morning. It was a surreal experience to see literally everything on fire. Words and pictures will never be able to come close in describing what we encountered and went through that day. Gatlinburg will rebuild and we will stand strong as a community and move forward. 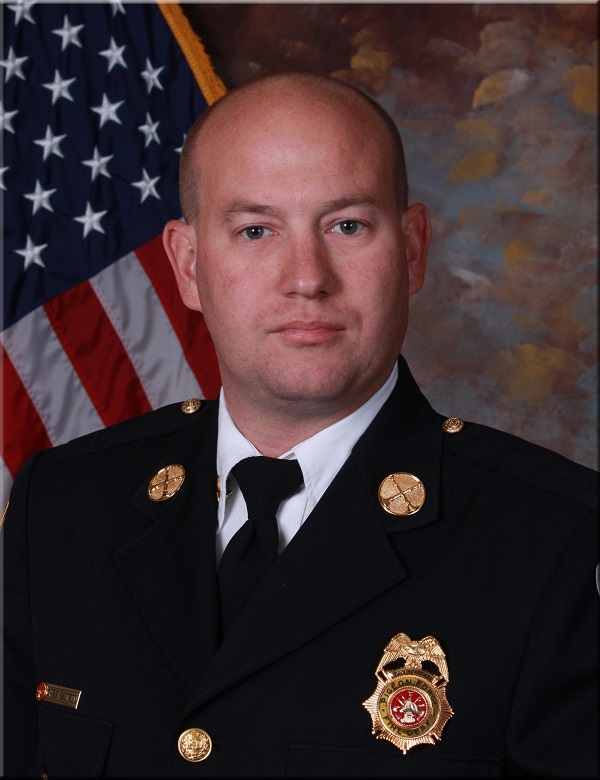 Note: Chris Knutsen is a 2001 paramedic graduate of Roane State Community College and is a 20-year veteran of the fire service. He holds an A.A.S. in Public Safety degree from Walters State Community College and has progressed through the ranks and is currently a Captain and Training Officer for the Pigeon Forge (TN) Fire / Rescue Department. 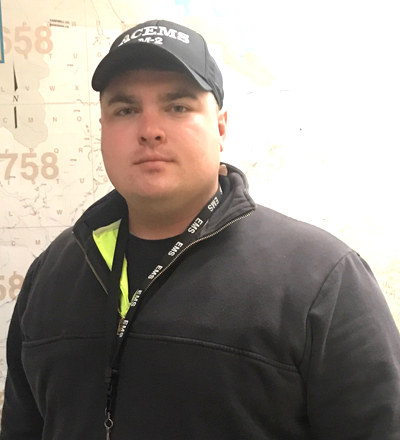 He is A FEMA Instructor for Command and General Staff Functions for Local Incident Management Teams and is a member of the Tennessee Fire Chief’s Association Mutual Aid System – Incident Management Team program. He has extensive incident management experience where he has served as Incident Commander, Operations Section Chief, Planning Section Chief, or Logistics Section Chief on several large-scale, multi-agency incidents involving floods, wildfires, air-craft crashes, structure fires and technical rescues. The morning of November 28th was no different than any other work day for me. After reporting to work, I began completing my administrative responsibilities along with planning out the day’s objectives. This routine day would quickly change around noon when myself along with other members of the Pigeon Forge Fire Department were dispatched to Gatlinburg for a mutual aid assignment. 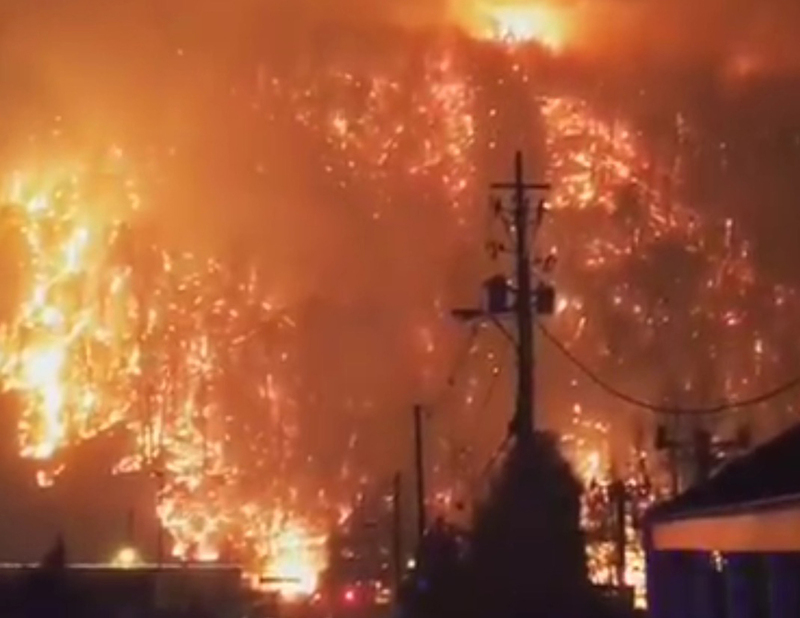 A fire which had been burning for several days in the Great Smoky Mountains National Park was now beginning to close in on the city limits. As we arrived in Gatlinburg, I was amazed at the visibility issues this fire was causing downtown. As we drove through town, the space needle was barely visible. By days end, Mother Nature and fire would remind all of us of their relentless power. We were the first arriving mutual aid company to arrive at GFD Station 2 staging area. After completing check-in, we were quickly assigned to a neighborhood called Mynatt Park which is a residential community that contains about 75 homes and a city park. Two sides of this subdivision border the National Park at the Cherokee Orchard Road entrance. A quick briefing was given on site by the National Park’s Fire Control Officer. He reported that a fire which had been started on the Chimney Tops hiking trail several days ago has now grown to more than 500 acres, is moving towards this subdivision, and is approximately two miles away. I was named the “Division Supervisor” for this area of the fire and was assigned several fire department resources to patrol and provide structure protection. We would soon be working in conjunction with state and federal resources. Watching the federal hotshot crews work was impressive. These crews of about 60 quickly cut in a hand line around the subdivision at the park boundary and assisted in prepping houses for the approaching fire. They utilized rakes, blowers, and chainsaws to reinforce their lines and to clean around the individual properties. Once this task was completed the federal teams would be assigned to a nearby area called “Turkey Nest”. This left our division with 1 Wildland Truck, 1 Engine, and 1 Tender to protect the neighborhood. All other available resources were assigned to other areas of the city that were also being threatened by the fire. I assigned these remaining apparatus to different roads within the subdivision, and we performed a “rolling patrol” for fire. The smoke conditions were so bad that visibility was only a couple hundred feet at best. For hours we would patrol the area with no signs of fire. All this would drastically change at dark. First hurricane type sustained winds began, and visibility decreased to nearly black out conditions. All the fire lines were quickly compromised by the blowing leaves and the battle to save a community neighborhood would begin. 90-MPH winds which seemed never to diminish blew hot embers throughout the subdivision creating sporadic “spot fires”. Our crews would stay busy extinguishing these fires before they had a chance to grow. The winds were relentless causing numerous trees and limbs to fall. The hot embers increased to the point of burning any part of exposed skin. The glow from fires would start appearing all around us. Soon the entire subdivision would be surrounded by fire with numerous buildings burning on the outside boundary of our division assignment. The poor visibility would make our job of searching for fires tough. We would practically have to be right on top of the fire before we would see the glow. It was during these conditions that I witnessed members of my team perform in unimaginable circumstances. The smoke conditions would make it hard to breathe, hot embers burned your face and neck; hurricane type winds continuously raged; trees fell from the sky, and power lines arched all around us. These 8 men executed their orders with professional precision, dedication, and perseverance. They never once questioned their objectives and remained steadfast with battling this fire and saving a neighborhood that people called “home”. During this battle we would only lose a couple of the homes in this entire subdivision. By listening to the command channel on the radio, it was evident that an entire city was under attack. Dispatch would transmit structure fire after structure fire. People trapped, power lines down, motels on fire, restaurants on fire were constantly reported via the 911 dispatch office. I would listen to other colleagues operate in “life-threatening conditions” making rescues, protecting property and impacting lives. One of these colleagues is my wife who is a critical care paramedic and firefighter for the City of Gatlinburg. My hometown of Pigeon Forge would soon be under attack along with other areas of Sevier County. Around midnight a short rain event calmed the fire in the division which I was assigned and allowed me the ability to transfer command to another firefighter there. As I left everything seemed so apocalyptic. Buildings, houses, motels, restaurants were burning everywhere. Cars abandoned in the street were burning. Power poles and transformers were laying everywhere. Complete darkness covered a city that once thrived with visitors. Fire alarms and horns were sounding from almost every building. No one was around. It wasn’t until I drove down the main strip of Gatlinburg until I saw an unprecedented amount of fire apparatus protecting the critical infrastructure of the city. Engine after engine and numerous aerials were tapped to almost every single hydrant on the parkway and were throwing water on the heart of the city. While driving on US 321 to my next assignment, I continued to witness the utter destruction. The active fire was still raging from building to building. Roads that were very common to me were unrecognizable. It was during this time that an emergency vehicle approaching from behind began honking. To my relief and surprise, it was my wife and her partner. After a quick hug in the middle of the road both of us would continue with protecting life and property. Words cannot explain what I experienced and witnessed during this historic conflagration. I am extremely humble and proud to work in the field of public safety. A profession of dedicated, relentless, determined, prepared and professional men and women who work tirelessly, in horrific conditions, to save as many lives and property as possible. Learn more about Roane State emergency medical services programs. Learn more about Roane State healthcare and safety workforce programs.